This book offers a comprehensive survey of computer methods for engineers that know the importance of the future applications of these techniques but can not understand them. Typically, design and production engineers can find books for specialists but they need one that helps them to understand the mystic world of advanced computer aided engineering activitites. This book is intended to fill this gap. Mechanical engineers will find basic theory and the value of competitive computer-aided engineering methods in the proposed book. The book will be written in a style free of computer specialists' jargon. The topic of the book is computer methodology for engineers, including conceptual design, detailed design, styling, modeling, analysis, simulation, manufacturing planning, 3D graphic visualization. The aspect is of the engineer who is in dialog connection with computer procedures and is working in a human-computer system where a group of engineers collaborates using an advanced concurrent engineering environment. The book will include chapters on: computing for engineering; computer representation; computing methods: creating computer representations; application of computer representations; engineering activities in the global computer environment; and opinions of some potentials. 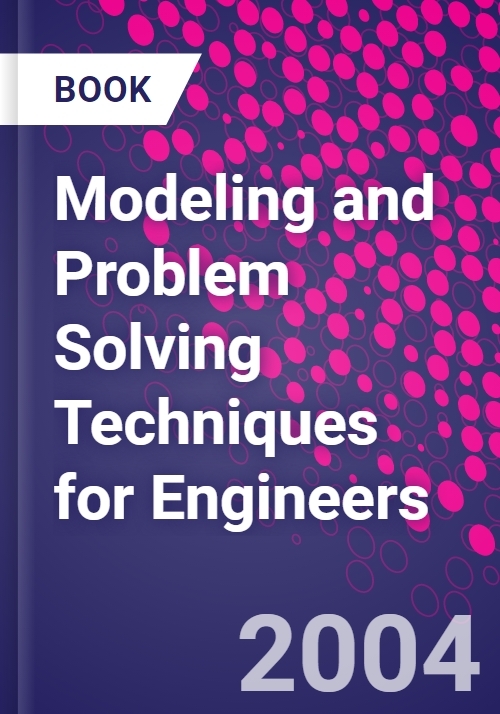 The audience for this book consists of engineers, who must be familiar with computer methods and should be able to apply them in their work, as well as students who are not involved in computer-related courses but need an understanding of the world of computer-aided engineering to solve engineering tasks. Potential readers may be any individuals who need to understand computer-aided engineering methods, especially engineering modeling. Lászlo Horváth received a Master Degree in Production Engineering from the Technical University of Budapest in 1971, the Dr. Techn. Degree in computer-aided process planning systems from the Technical University of Budapest in 1984 and the Ph.D. degree in knowledge based process planning systems from the Hungarian Academy of Sciences in 1992. He is active as the Deputy Director for Sciences of the John von Neumann Faculty of informatics, Budapest Tech Polytechnical Institution and as a professor of Department of Mathematical and Computational Sciences. He currently teaches courses in CAD/CAM systems engineering, informatics and knowledge engineering. He is a Senior Member of IEEE. His present areas of research activity are: Computer Modeling of Design Intent, Environment-adaptive Intelligent Product Models, Methods for Computer Description of Engineering Objects, Integrated Robot and Engineering Systems and Virtual University. He has published more than 150 papers in various journals and international conference proceedings. Imre J. Rudas graduated from Bánki Donát Polytechnic, Budapest in 1971 and received the Master Degree in Mathematics from the Eötvös Loránd University, Budapest while the Ph.D. in Robotics from the Hungarian Academy of Sciences in 1987. He is active as a professor and Head of Department of Mathematical and Computational Sciences. He serves as the President of Budapest Polytechnic from August 1, 2003 for a period of four years. He is a Fellow of IEEE, Administrative Committee member of IEEE Industrial Electronics Society, Chairman of the Hungarian Chapters of IEEE Neural Network and Systems, Man and Cybernetics Societies, Chapter Coordinator of IEEE Region 8. He is also a registered expert of the United Nations Industrial Development Organization and the EU. He is the President of the Hungarian Fuzzy Association and Steering Committee Member of the Hungarian Robotics Association and the John von Neumann Computer Society. He serves as an associate editor of IEEE Transactions on Industrial Electronics, member of editorial board of Journal of Advanced Computational Intelligence and Control Engineering Practice, member of various national and international scientific committees. He is the founder of the IEEE International Conference Series on Intelligent Engineering Systems and International Conference on Computational Cybernetics; he has served as General Chairman and Program Chairman of numerous scientific international conferences. His present areas of research activity are: Robotics with special emphasis on Robot Control, Soft Computing, Computed Aided Process Planning, Fuzzy Control and Fuzzy Sets. He has published more than 300 papers in various journals and international conference proceedings.